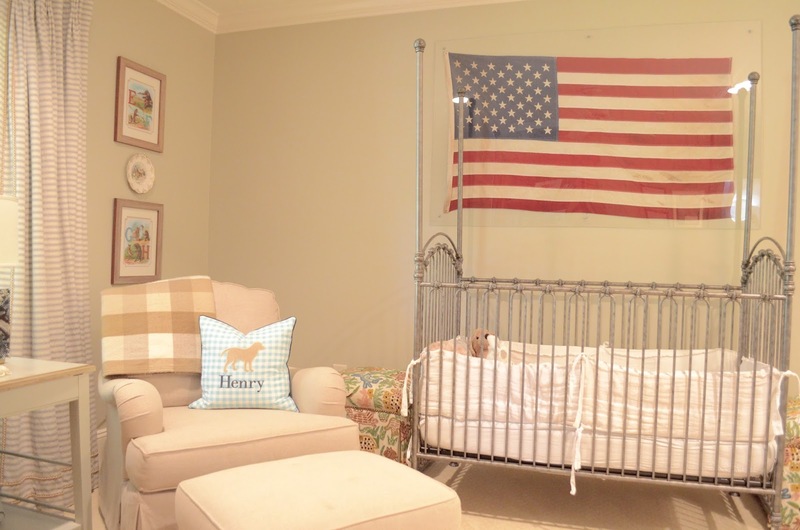 It has been wonderful having Henry’s room so close to ours. He’s a great sleeper, but on those “off” nights, having him right next door has been great. His crib was floating in the middle of the room at our last house, but this space has a nice long wall where it fit well. 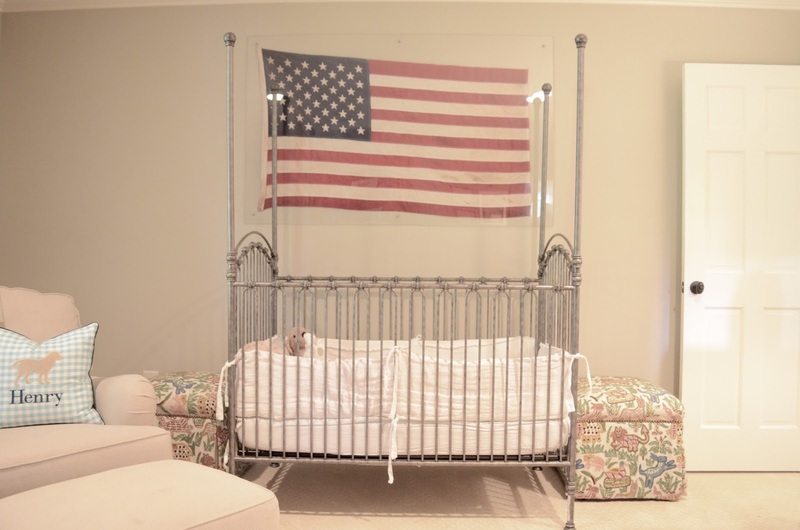 My grandparents’ old American Flag hangs over the bed behind Plexiglass. We rock Henry at night and say our prayers, which is the sweetest time. He’s happy still doing this whole routine and so is his mama and dada! It looks quite green in this pic, but the wall color is my tried-and-true: Coastal Fog. I love the greige tones and it works so well with his stuff. Henry’s got his own little bathroom where we do our night time routine too. He loves bath time and could stay in for an hour if I let him! Hope you guys enjoyed my little one’s space! I’ll be sharing our guest rooms next.